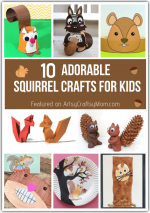 Hedgehogs aren’t exactly huggable, but these hedgehog crafts for kids are too cute for words! Learn about this amazing animal through some simple projects! What is the first thing that comes to mind when you think of a hedgehog? Most probably, it’s the feeling of pricking – Ouch! Well, that’s there, but you can’t deny that hedgehogs are incredibly cute – in spite of the spines! Hedgehogs are generally considered fall creatures, so if you’re wondering why we’re talking about them now, it’s because their special day is coming up – on 2nd February. Yes, it’s National Hedgehog Day, a day that celebrates these cute woodland creatures. Did you know that the cartoon Sonic the Hedgehog was released on 2nd February? 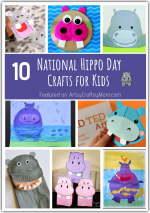 So let’s get into a celebratory mood by making some adorable hedgehog crafts for kids. Trust me, these won’t hurt at all! Paper plates are great to make craft animals, but I feel they’re particularly good for hedgehogs! Housing a Forest has made use of this fact and created a cute little paper plate hedgehog using the plate for the body and paper for the spines. Polish your paper quilling skills with this little hedgehog craft! You don’t need too many coils to make this craft, making it an ideal project for quilling beginners. Okay, this has got to be the cutest hedgehog craft ever! And so easy too! 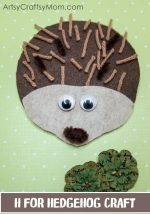 Kids Craft Room shows us how to turn an acorn into a hedgehog and also gives it a lovely grassy home to rest in. If you can get your hands on Styrofoam balls, then you absolutely must make these cutie pie hedgehogs! Cool Creativity has a free template available for download with which you can make these little critters in a jiffy. I just love how mischievous this little hedgehog from Krokotak looks! And to think that all you need to make this guy is a cardboard tube or roll with brown craft paper! 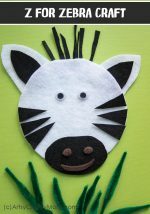 This is a craft you can make in minutes! This hedgehog paper craft is quite impressive, considering it’s made entirely out of paper. The project is simple enough if you follow the instructions at Easy Peasy and Fun, but needs some precision. 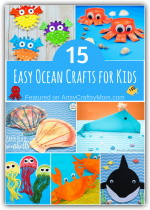 Good practice for budding crafters! Got an old CD lying around? Why not turn it into a spiny little friend, who’s actually quite soft to the touch! With some felt and yarn or wool, it’s super easy to upcycle an old scratched CD into a woodland animal. Pebble crafts or rock crafts are all the rage, and these hedgehogs from Easy Peasy and Fun are a cute addition to them! Ironically, you’ll be using smooth pebbles to make spiny hedgehogs, and then drawing the spines on later. 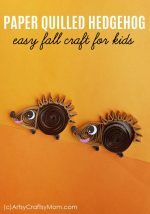 This leaf hedgehog is the perfect fall craft, which you can make with fall leaves. But if it’s any other season, you can still make this hedgehog – with craft leaves! Glued to My Crafts makes a cute little pair of girl and boy hedgehogs. Hedgehogs aren’t huggable – but these pom pom hedgehogs from Red Ted Art sure are!! Check out their full tutorial to know how to make these adorable, fluffy little pom pom pals that you can carry around everywhere! There used to be an event called the International Hedgehog Olympics!